This procedure is popularly known as Elakizhi or Pachakizhi. In this fresh leaves are collected and cutting to small pieces. These c..
As the term implies Choorna that is herbal powder as used in this treatment procedure. Herbs are cleaned, dried and powdered prior t..
Abhyangam is the basic massage in the Ayurveda treatment. The meaning of Abhyangam in Sanskrit is oil massage. It is an ideal massa..
Navarakizhi is one of the typical Ayurvedic treatments. The treatment is termed so, as Njavara(Navara) rice is the main ingredient i..
Dhara means pouring liquid medium in a small continuous and constant stream over the body or affected area. Dhanyamla is a speciall.. It is the treatment where by the lukewarm medicated milk is made to flow in a slow constitend rate over the forehead for a particul..
' You are as young as your spine is healthy' The term kati refers to low back ..
‘Uras’ is the term that refers to the chest region. In this procedure medicated oil is retained in the chest region for..
Thaila dhara or Pizhichil is the combination of two classical ayurvedic treatments, Snehana (oleation) ant Swedana (sudation). It is..
Shiro dhara is a unique massage from kerala in which a steady stream of medicated oil is poured on the forehead in a peculiar patte..
Takra dhara is a part of panchakarma treatment in ayurveda. Takra refers to butter milk, thus takra dhara is the procedure where by..
Upanaham is a part of swedam in panchakarma treatment in ayurveda. There are some diseases which need external application of medic.. Oral care is of immense significance as per the science of Ayurveda. DantaSwasthya or Dental health has to be uncompromising mainta..
Greeva vasti is one of the parts of panchakarma in ayurveda treatment. ‘Greeva’ refers to the neck region thus it is th..
Shiro vasti is a part of panchakarma treatment in ayurveda. ‘Shira’referse to head, thus shiro vasti is the procedure w..
Kabalam besides being a therapy is also one of the harmless morning routines that can be carried out by anyone. It is usually pract..
Janu vasti is a part of panchakarma in Ayurveda treatment. The term ‘janu’ referse to knee joint. It is the procedure w..
Jaluka refers to leech. 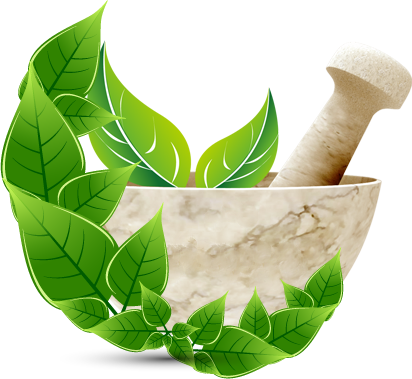 Jalukavacharanam in ayurveda is a bloodletting treatment procedure carried out with the help of jaluka. The ..
Medicated oil or powder mixed with oil or medicated ghee is applied on the head mainly on and around the bregma region and sustaine..
Nasyam is one of part of panchakarma in ayurveda treatments. It is a medication done through nose. Nostrils are considers to be the..
Pichu is an ayurvedic treatment popular among ayurveda acharyas. Pichu is used as an effective method to treat the ailments of head..